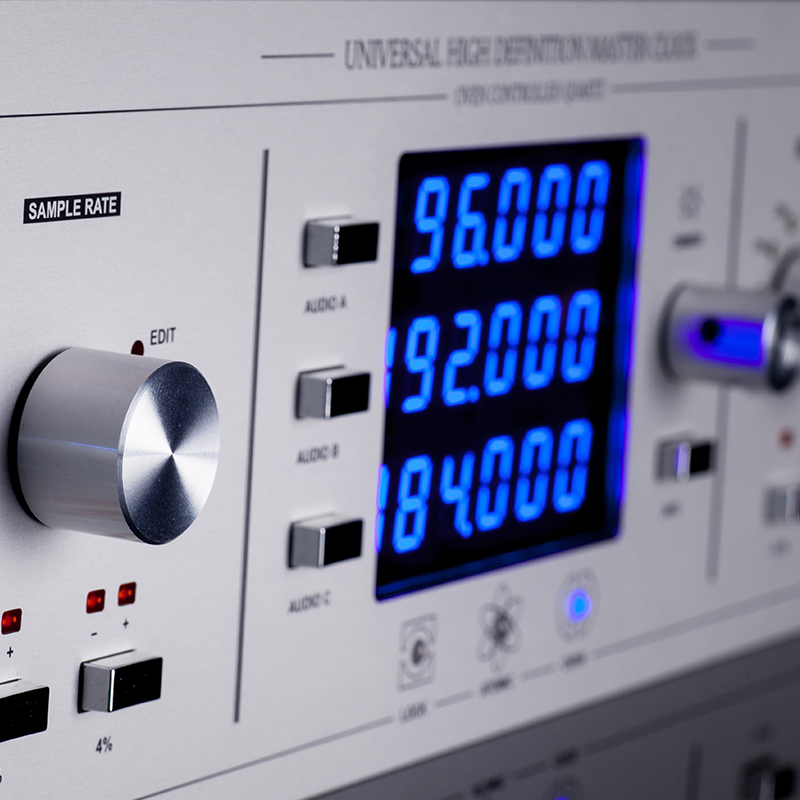 In the fickle world of Audio & Video formats, Trinity is the Master Clock that stands out from the crowd, with the kind of features that others can only aspire to. With dedicated functions and controls, Trinity is the best sounding and most versatile Master Clock available anywhere. 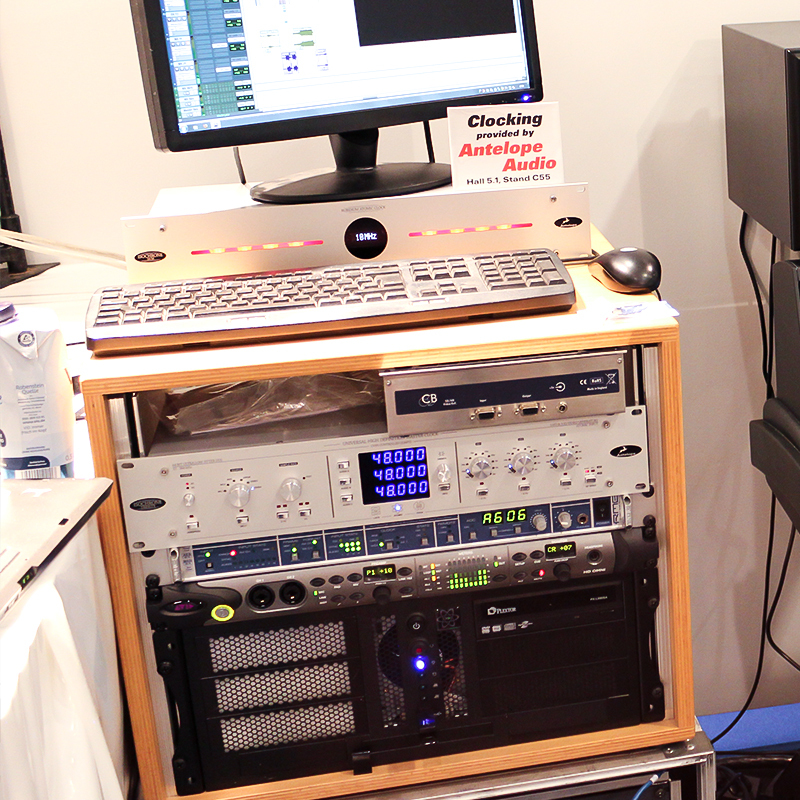 Installed in some of the most prominent audio and post production facilities around the globe, Trinity is in the roots of great percentage of the contemporary music and movie productions. Trinity is also an integral component of some of the largest live concerts and events nowadays. Powered by an ultra stable oven controlled crystal oscillator, Trinity’s completely redesigned timing engine with 4th generation 64-bit Acoustically Focused Clocking provides supremely low jitter and high stability, with distinct sonic advantages that are immediately apparent. An atomic input makes it a perfect match for the 10M Atomic Clock, while user re-calibration and dual redundant power supply will keep the unit running smoothly and prevent costly downtime. Trinity takes care of requirements that usually would have needed several units. 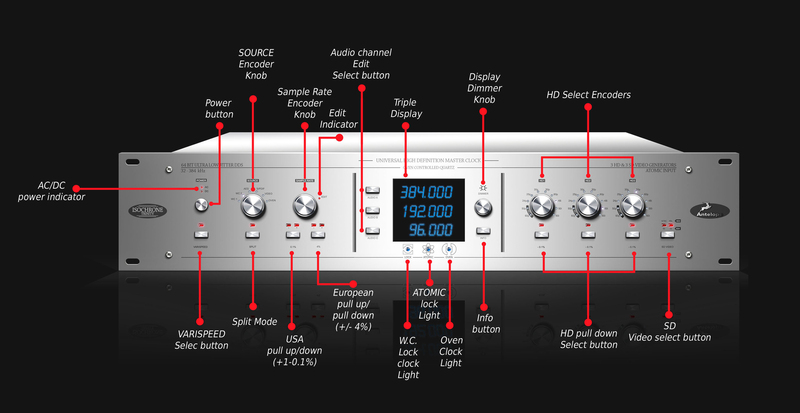 With 3 HD and 2 SD generators the unit locks to and generates all known professional video format, while simultaneously offering 3 independent audio channels capable of 384 kHz with varispeed adjustment in cents or percent! 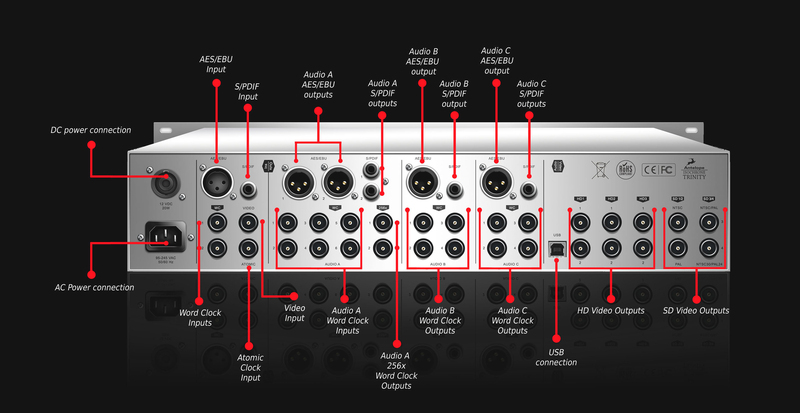 With its wealth of connectivity, flexibility, and ease of use, Trinity is the ideal linchpin for a modern studio. You might have seen them independently, but usually where’s one, the other is close by. Universal video input on BNC.